The Guide to Using the Public Domain: A Way to Get Free Content! If you've never heard of the public domain, then you're in for a real treat. The public domain is a classification for all types of media that are not covered by intellectual property rights or copyrighted. This means that if something is in the public domain, you can use it however you wish. And for us internet marketer's, it means that we can take public domain content and use it on our websites and inside of our information products to make a ton of money! Think about how much money you could make if you could produce high quality information products in record time, because you've sourced 90% of the material from the public domain? 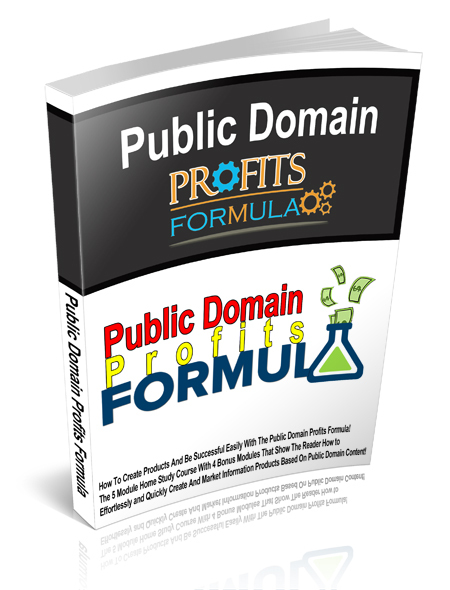 The Guide to Using the Public Domain: A Way to Get Free Content!! HOW TO USE THE PUBLIC DOMAIN!